Get 3 BOOKS for the price of ONE! This is a compilation of 21 Exciting & Delicious Paleo Bar Recipe. You will surely adore each recipe here from its first to last. Paleo Bars are a quick and easy way to get your daily fix. Don’t have time? – No problem – Paleo Bars are the Go-To snack without the guilty conscience! 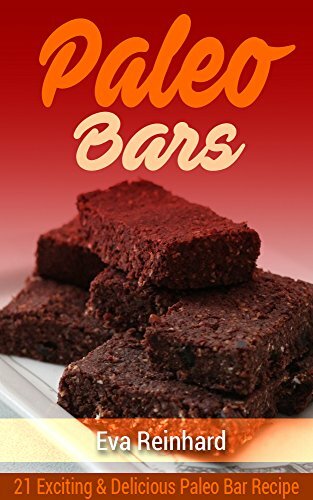 Lemon Bars, Pecan Pie Bars, Coconut Date Bars, Pumpkin Bars and Blackberry Bars are just to name a few delicious Paleo Bar recipes. The PALEO Diet is a new way of enjoying your favourite foods in a more healthier way! Switch your sugar filled unhealthy bars with good Paleo Bars that really make a difference! Take action today and download this book and make steal!